What role does tailored financing have in driving innovation? Business Planet looked into the world of medical devices, an industry booming with new solutions to help healthcare professionals and patients. The medical devices industry employs around 650,000 people across Europe. It's an important sector for Europeans, aiding them in finding the right treatments and diagnosis. One example of an SME (small and medium-sized enterprises) driving the sector is Echolight. 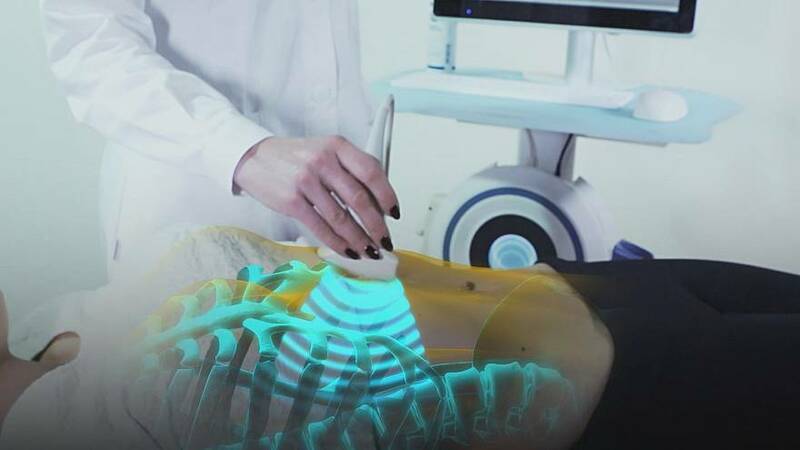 Echolight has created a non-invasive technology to scan people at risk of developing osteoporosis. It can determine if people are in the early stages of developing the disease through a scan of around a minute which builds up a clear picture of the spine and femur. With Europe's ageing population increasing (by 2016 almost 20% of the EU's residents will be aged 65 or over) new technologies like Echolight are changing lives. Echolight's CEO and cofounder Sergio Casciaro explained the benefits of his technology: "In Europe, for example, we have between 3 million to 300 thousand people suffering from bone fractures due to osteoporosis each year. Only 3% of them had done tests to assess their bone health. Most of the victims have fractures without even knowing they suffer from this disease." He went on to say: "This technology is one of a kind and allows us to give a diagnosis when people are still young. We can intervene not only through pharmacology but also by changing lifestyles, diet, sun exposure and physical activities." The success of the technology is such that it's now being used in several European medical centres. For Echolight this means their turnover has increased fivefold between 2017 and 2016 and they've tripled their staff numbers from 10 to 30 people. Echolight might not be the success story it is today were it not for the equity financing it received from a venture capital investor which helped fund its main clinical studies. The funder, Panakès Partners, was backed by the EU COSME programme. It's a quicker way of saying the EU's programme for the Competitiveness of Enterprises and Small and Medium-sized Enterprises. It's a huge funding pot of €1.3 billion - set aside for SME financing. Why does the funding pot exist? Since the financial crash, SMEs are seen by the EU as drivers of economic recovery, especially in terms of job creation. However many have struggled to get loans in order to borrow money, which means they've struggled to grow and expand. The money doesn't go straight to SMEs. Instead, the financing goes to banks and funds who make it available to SMEs. The European Investment Fund (EIF) predicts around 330,000 SMEs will receive loans. The average loan per firm is around €65,000.